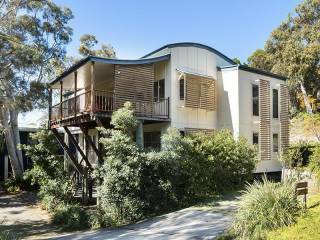 Pets allowed at this comfortable high set holiday house. 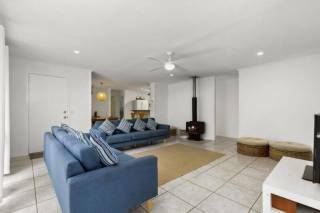 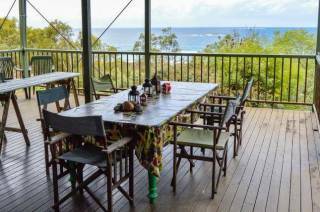 High-set 3 bedroom house with a wide verandah, northerly aspect and ocean views to Cylinder Headland and Flat Rock. 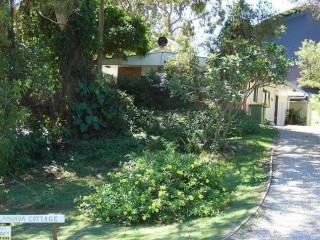 The house is fully screened with polished floors throughout, and backs onto bush reserve. 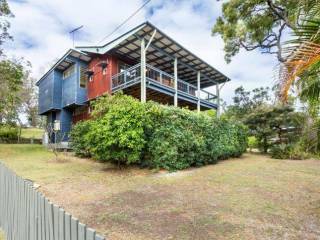 Fenced area at rear of house for pets and a large deck with gate.